The Kent Branch is located within the Chatham-Kent Public Library on the second floor adjacent to the McKeough Room. Our library is open from 1:00pm to 5:00pm on Wednesdays through Saturdays, subject to volunteer availability. Our library has extensive holdings and is equipped with a copier and scan to email or USB. The Kent Branch has an excellent research Library with open shelves so the public can do their own research. We do not charge a fee to use the library but we are dependent on your generous donations to help us pay for the rent, maintain our holdings, and acquire more research materials. Please consider supporting our branch of The Ontario Genealogical Society by clicking on the CanadaHelps DONATE NOW button. Be sure to mention Kent Branch in the message so your donation can be directed to our local branch. The Branch Master Index has been updated with the Dennings Ltd. Records! 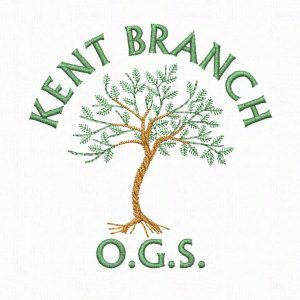 Members of the Kent Branch have been working on indexing branch and library publications, and an index is now available on-line for searching. The Master Index presently includes an index to 41,951 persons from Kent County. We like to give our library volunteers time to enjoy the Easter long weekend with their families and friends. We will be closed Friday - Tuesday April 19 - 23. We reopen on Wednesday April 24th.